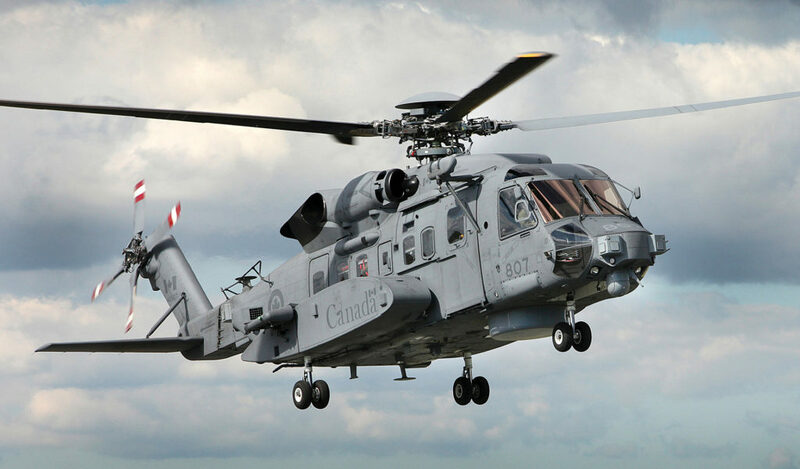 Canada’s fleet of CH-148 Cyclone maritime helicopters achieved initial operating capability (IOC) on June 7, 2018, paving the way for the new helicopter’s first operational deployment in early July. “At the beginning of 2018, everything we were doing was about finishing off operational testing to enable us to conduct operations, and to transition both aircrew and maintainers,” said Connor, who assumed the role of Wing Commander at 12 Wing Shearwater, N.S., in July 2017. He told Skies that ship helicopter operating limit (SHOL) testing has been completed. Those evaluations have cleared the Cyclone to operate from an RCN frigate in very rough conditions up to Sea State 6, which is characterized by waves of between 12 and 20 feet (four and six metres) high, and winds of up to 55 knots (100 kilometres per hour). Though the procurement process has been painstakingly slow since Canada first announced it would purchase 28 Cyclones from Sikorsky in 2004, the pace of progress has picked up significantly in recent years as 12 Wing and Sikorsky work to bring the Cyclone into service. This year, in particular, has been eventful. On Jan. 26, 2018, the last Sea King squadron on the East Coast stood down–and within 30 days it was reactivated as a Cyclone unit. While 443 Maritime Helicopter (MH) Squadron in Patricia Bay, B.C., is still flying the Sea King operationally, numbers are being “drawn down” as both aircrew and maintainers enter conversion training for the new helicopter. Currently, a Sea King helicopter air detachment (HELAIRDET) from 443 Squadron is serving on board the frigate HMCS St. John’s in the Mediterranean Sea, as part of the NATO-led Operation Reassurance. 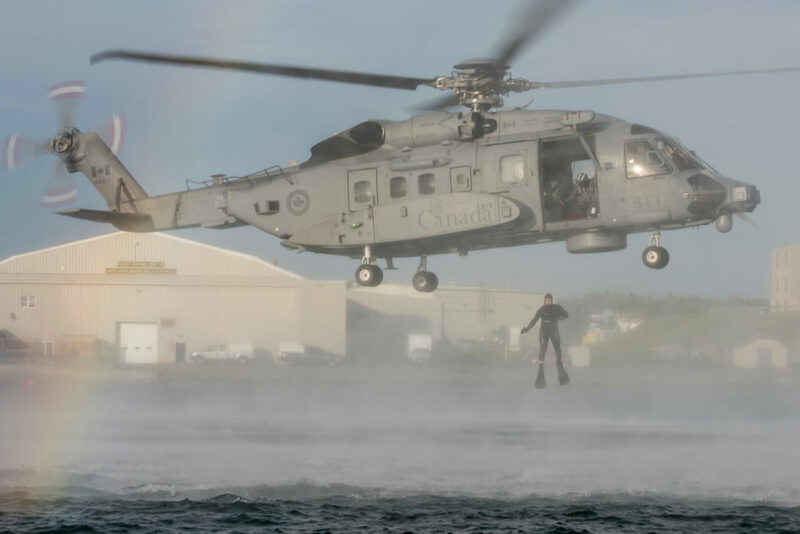 The mission marks the final operational deployment for the CH-124 Sea King, which began flying for Canada in 1963. With the ship expected home in early July, Connor said it will be replaced by HMCS Ville de Quebec, which will carry the first operationally deployed Cyclone HELAIRDET from 423 (MH) Squadron at 12 Wing. But before that mission could take place, the Cyclone program had to reach IOC. 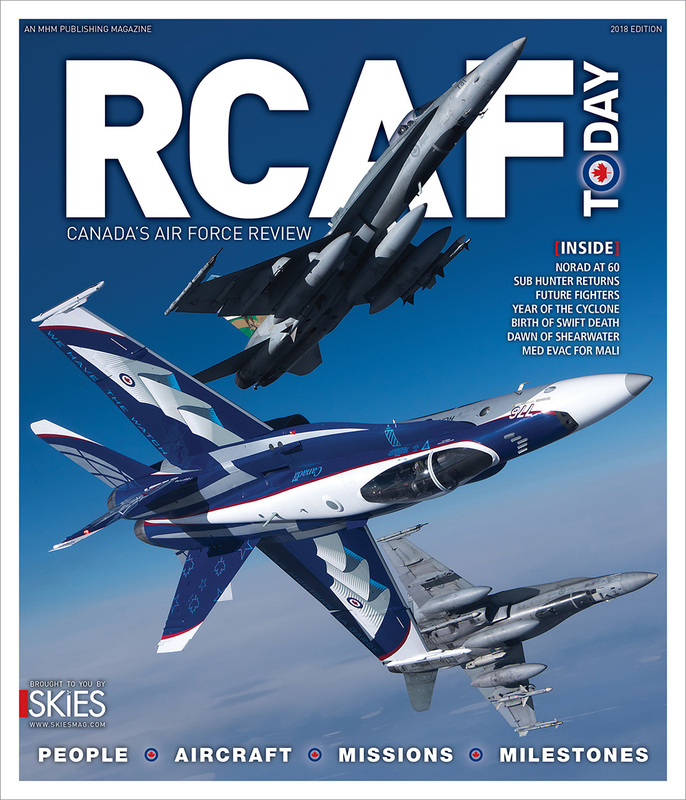 That milestone was achieved on June 7, based upon a recommendation from 12 Wing to Maj-Gen Christian Drouin, the commander of 1 Canadian Air Division (1CAD) in Winnipeg. Connor said 12 Wing had to demonstrate that “we have trained enough people and that we have enough materiel, and we are sustainable, to go out on actual operations. Inside the “schoolhouse” at 12 Wing–officially known as 406 Maritime Operational Training Squadron–it’s a beehive of activity. 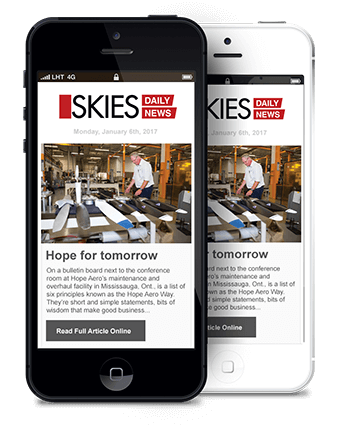 While the building itself is still officially owned by Sikorsky, Canada is expected to assume possession in the coming months. In June 2017, the facility was officially named The Fumerton and Bing Training Centre in honour of pilot Robert “Moose” Fumerton and navigator Leslie Patrick Bing, a legendary RCAF crew who achieved the Air Force’s first “night kill” of the Second World War. “Quite often we name buildings after individuals; but in this case, at the training unit, we train crews,” said Col Peter Saunders, director of operational implementation, Maritime Helicopter Project in Ottawa, and former commanding officer of 406 Squadron. On the maintenance side, the transition takes between two and four months and involves several different courses of varying lengths. In January, 12 Wing had one maintenance unit; but by September, Connor said there will be three. On the aircrew side, the Cyclone is crewed by two pilots, a tactical coordinator (TACCO), and a sensor operator (SENSO). Connor explained that pilot conversion training takes four to five months, while TACCO and SENSO courses are about six months long. But regardless of whether they fly in or maintain the CH-148 Cyclone, simulation figures prominently in the curriculum. Connor estimated that perhaps as much as one third of the program is supported by simulators that can “fly” no matter the weather. 406 Squadron has two simulators used for pilot training and two mission sims used for TACCO/SENSO instruction. Both types of simulators can be linked so pilots and TACCO/SENSOs can train in the same environment. CH-148 Cyclone from MHM Media on Vimeo. In addition, noted Connor, the schoolhouse also features maintenance simulators that feature portions of the aircraft with actual parts. While virtual reality is not currently employed in the schoolhouse, Connor did mention a CH-148 rescue hoist simulator developed by St. John’s, N.L.-headquartered Bluedrop Training & Simulation. That device is expected to be delivered to 12 Wing shortly and will be used for proficiency training. So far, Canada has taken delivery of 15 of the 28 CH-148 Cyclone helicopters ordered. By the end of June, he expects Shearwater to be home to six Block II helicopters, which are being used by the operational squadrons. The earlier Block I models are being cycled back to Sikorsky for upgrades; in the interim, those still at 12 Wing are being used for training purposes. One of those lessons was revealed during ship-helicopter trials, when crews realized the external sonar equipment clearance was not as great as it should be when the helicopter was landing on deck. Consequently, the Block II model was modified with a new, contained sonar system. The first Cyclone will be stationed at Patricia Bay this summer and the West Coast squadron will transition rapidly. Flying will commence by early September, with all Sea King operations ending in December. As for the Sea King fleet, the airframes that have ceased flying are being stored in Shearwater and Patricia Bay pending a disposal plan from Ottawa. 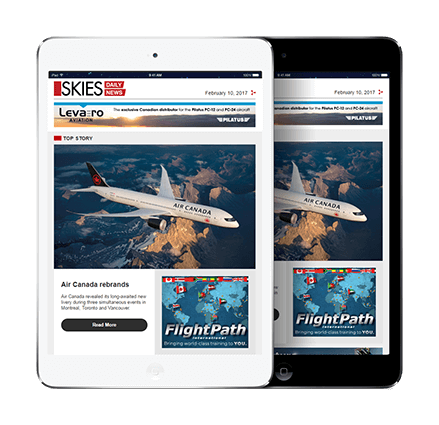 At least one is destined to be displayed at the Shearwater Aviation Museum, the birthplace of maritime aviation in Canada. It’s a fitting tribute to an aircraft that provided yeoman’s service to the country for an astonishing 55 years. But while it honours the past, 12 Wing is very much about the future. Connor said Cyclone HELAIRDETs will bring tremendous capability to the field, which may prompt an expansion of their mission portfolio. While the Sea King had sonar and raw radar, the Cyclone offers capabilities that are “an order of magnitude better,” including sonar, sonobuoy processing, and imaging radar. Its modern electro-optical/infrared (EO/IR) system is several times better in range in both visual and infrared modes. But the modern equipment brings its own challenges, too. 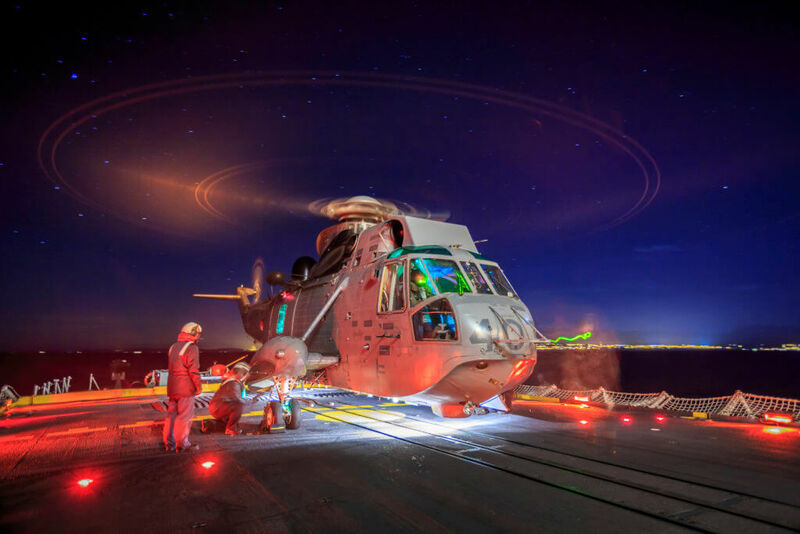 “On the aircraft side, the crew had to work hard to get information on the Sea King. 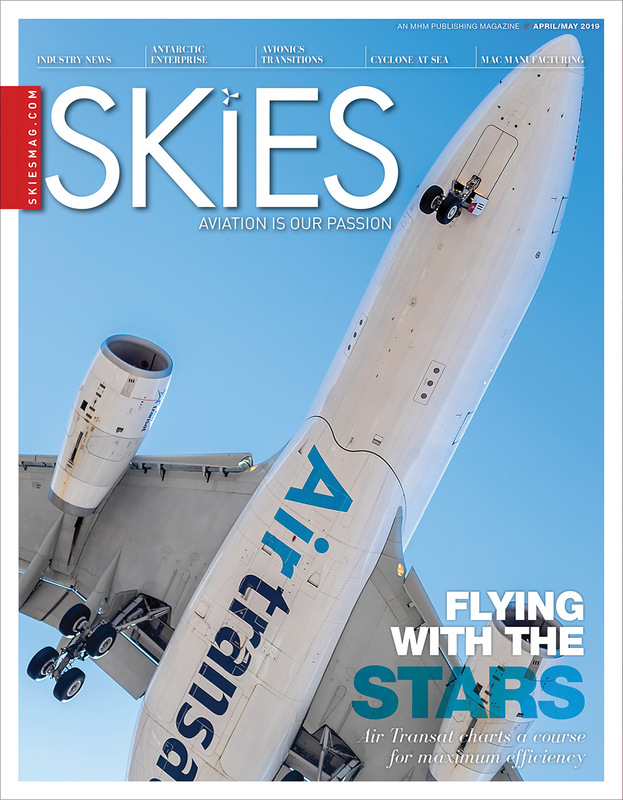 On the Cyclone, the aircraft is collecting a vast amount of info, so now it’s about managing and interpreting that information and using it and distributing it,” said Connor. The simple fact is that transitioning to the new helicopters has presented a steep learning curve for all involved. Luckily, said Connor, the maritime helicopter community has always been adaptable–and he’s eagerly anticipating the future. Wow! Exciting times! Makes me jealous that I am not in the middle of it!